The wine industry dates back long before the internet, yet many companies are still stuck in their old sales process. 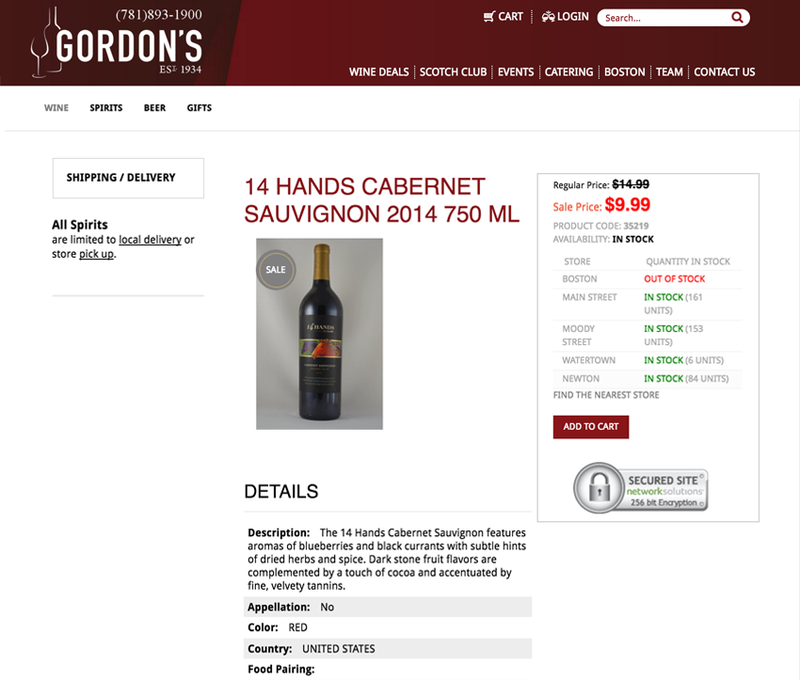 While Gordon's Wine did have a website before, they were not utilizing it effectively. 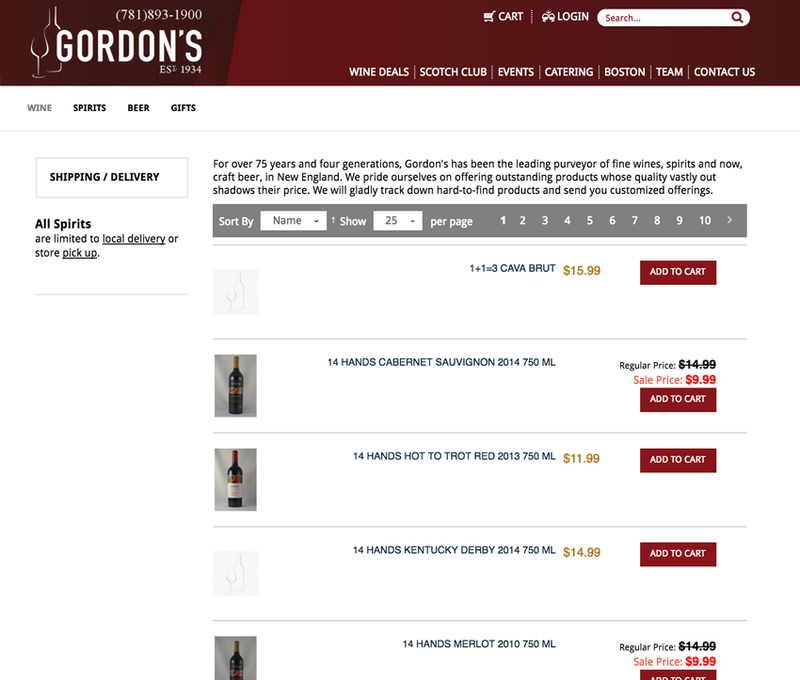 The PixelBit team worked closely with Gordon's to develop a responsive, easy-to-update web presence built atop the Magento open source shopping cart library. The overall goal of this project was to ensure the existing customers weren't shocked with a new design, yet still needed to provide a streamlined design/process. 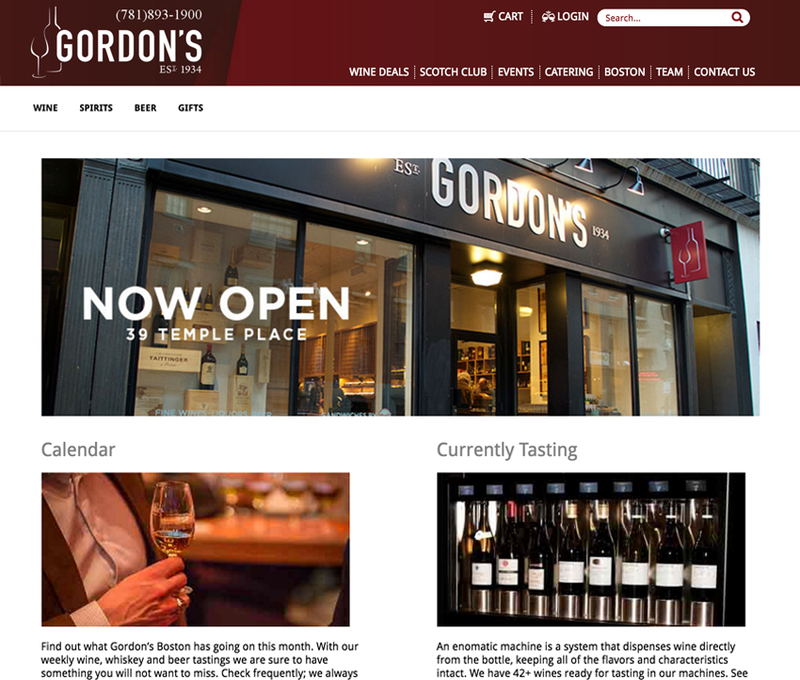 The final result is a modern, connected website that is closely integrated with Gordon's multiple store locations, as well as a new experience that was unveiled in downtown Boston in early 2016. 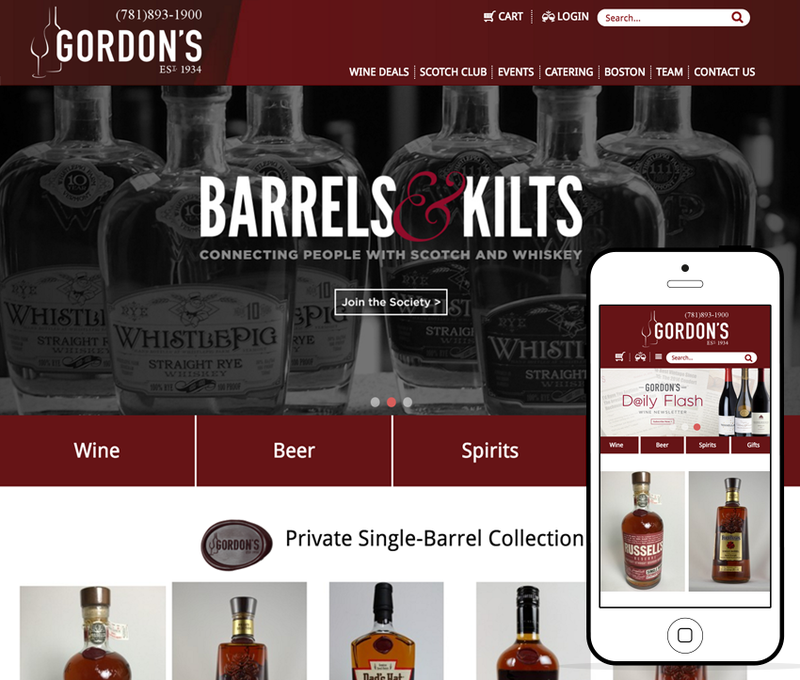 PixelBit continues to provide support and is working with the Gordon's staff to create a unique mobile app experience, to launch in later 2016.